Speaking today (3 June) at the Organic Natural Beauty Show, Peter Melchett, Soil Association policy director highlights the number of harmful chemicals found in beauty products labelled as ‘organic’ and ‘natural’ or ‘nature inspired’. Ingredients often found in antifreeze, floor cleaner, oven cleaner or car oil and ingredients banned in children’s food and toys are making their way into non-certified beauty products labelled as organic or natural due to a lack of industry regulation.1 The Soil Association believes consumers are being misled and is calling on the health and beauty industry to use terms like ‘organic and ‘natural’ accurately or not at all. Strict EU laws ensure any food product labeled organic meets legal standards and is independently certified by a recognised body. Unfortunately, there are no EU regulations concerning the labelling of organic or natural beauty products. The only way consumers can be sure they are buying a genuine organic beauty product is to look for an official certification label.2 Under Soil Association standards, to use the word organic in the product name, a product must contain over 95% organic ingredients, excluding water. Unfortunately, Boots and others have not taken on board the implications of this ruling. For example, a Boots facial oil currently on sale says it is 100% organic on the box, but it actually contains at least four non-organic ingredients. To provide customers with an accurate product description, Boots should state which ingredients are certified organic, and what proportion of the product, excluding water, this represents. The Soil Association also found a selection of other Boots ‘botanics’ products claiming to be organic and some which even use their own Boots logo to make this claim, including Organic Hot Cloth Cleansing Balm and Organic Rosewater Toning Spritz. While some of the individual ingredients in these products may be certified organic, the products themselves are not certified. The Soil Association believes this is misleading customers. Boots is not alone, Soil Association informal research also found a Nivea ‘Pure and Natural’4 handcream carrying an unofficial leaf stamp that claims the product is 95% natural. However this product contains Methylisothiazolinone, a preservative which some claim could be carcinogenic and is suspected of causing nerve damage. The research also found a range of hair and body products made by US cosmetics company Organix.5 Organix coconut shampoo contains no organic ingredients, is not certified and contains potential carcinogens. Neither product would be permitted under Soil Association certification. Peter Melchett, Soil Association policy director said; “It is wrong that people are putting chemicals found in antifreeze, paint, oven cleaner and floor cleaner on their skin, when they thought they were buying a product made from only natural or organic ingredients. This must stop. Non-natural Propylene Glycol (PG): active component in antifreeze, which might cause brain, liver and kidney abnormalities. Methylisothiazolinone: found in laundry detergents, liquid dish detergents, cream cleansers, all-purpose cleaners, window cleaners, floor cleaners, countertop sprays, stain removers, linen washes, room sprays, air fresheners, carpet shampoos, and wipes. Parabens: made from a petrochemical and has been linked with breast cancer, such as methylparaben. DMDM Hydantoin: this is a preservative that releases formaldehyde. Phthalates: used as an additive to PVC (polyvinyl chloride products to make them flexible, and to personal care products to make fragrances last longer. These have been banned from use in children’s toys, and can also be found in paint and packaging. PEGs – (polyethylene glycols): are petroleum-based compounds that are widely used in cosmetics as thickeners, solvents, softeners, and moisture-carriers. Found in oven cleaners. PEGs are commonly used as cosmetic cream bases. Genuine organic products have been checked by a qualified independent inspector and are certified by an accredited certification body. To demonstrate their independence certification bodies must be accredited by their national accreditation body (in the UK this is UKAS) or IOAS. You can trust products which are certified organic by a reputable certifier such as the Soil Association, or those certified to the international COSMOS standard. 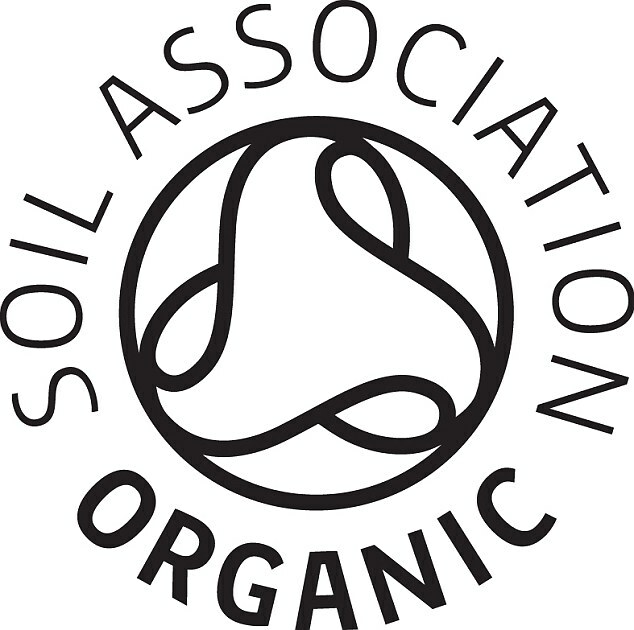 Anyone worried about whether a product really is organic should look for the Soil Association, COSMOS or other independent organic certifier’s logo. If you can’t find an organic product, look for products independently certified as natural, for example displaying the ‘COSMOS NATURAL’ logo. These are produced to similar, carefully defined standards as organic products but only use natural, rather than organic, ingredients. The Soil Association Organic Beauty Weekend will be on 7-8 September. Coordinated by the Soil Association Organic Beauty Weekend offers an opportunity for organic and natural health and beauty brands, manufacturers, licensees and producers to engage with customers. There is a great deal of confusion around what constitutes an organic product and our aim over this weekend will be to help clear up some of this confusion, and to help consumers obtain accurate and reliable information. Part of the wider Small Changes, Big Difference campaign the Organic Beauty Weekend will be promoted via social media, with its own hashtag – #OrganicBeauty and is an opportunity to engage with consumers and advise them what to look for when choosing organic. We would welcome any licensee, retailer of organic products or ambassador to join in with Organic Beauty Weekend during the Small Changes, Big Difference campaign. Contact us for more info – obw@soilassociation.org.